Can I make a confession? I’m a huge jaffa cakes addict. These british biscuit-sized cakes have been popular in the UK for almost a century. 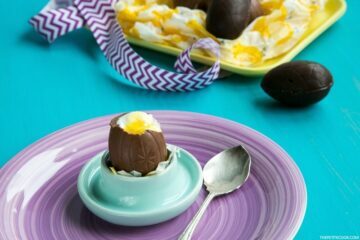 A soft spongy disk filled with tangy orange jelly coated with indulgent dark chocolate. The perfect marriage of orange and chocolate flavors delivered in one tiny bite. Whilst I love the traditional recipe for jaffa cakes, this time I wanted to come up with something different. I switched the traditional sponge cake with my go-to italian sweet shortbread dough, and used a delicious and rich chocolate ganache instead of just plain chocolate. 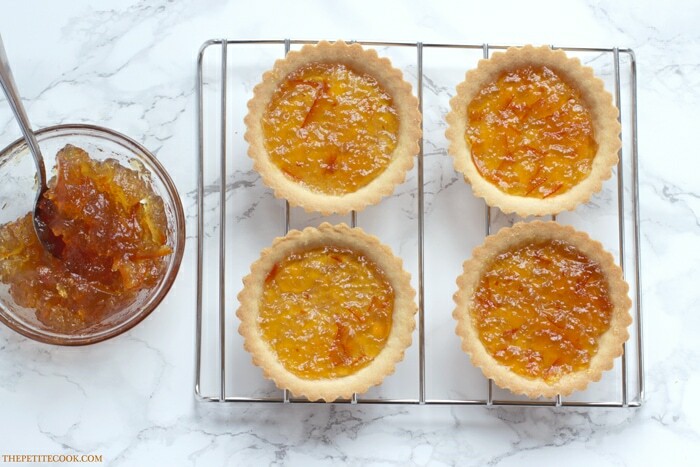 This easy mini jaffa tart requires less than 1 hour ( and just 10 mins if you have the tart shells ready). 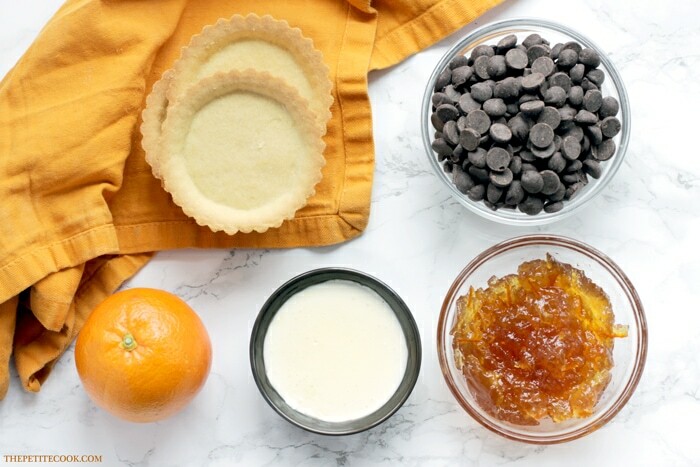 The best part is that you only need 5 ingredients: sweet shortbread dough, 70% dark chocolate chips, fresh double cream and your favorite orange jam/marmalade. You can never go wrong with chocolate + orange combo. If there is one ingredient that tastes amazing combined with chocolate, that’s definitely orange. 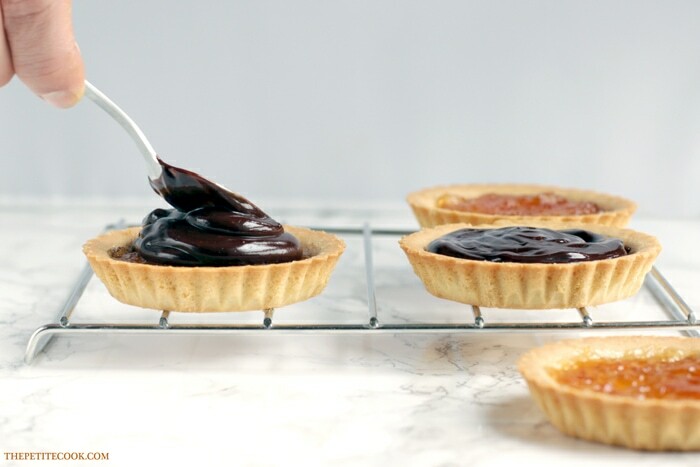 They were just meant to be together, and both totally shine through this easy-to-make mini jaffa tart. I usually make the shells in advance, then I store the baked tartlets in the freezer. They make a great last-minute dessert for when you have unexpected guests over for dinner. Then all you have to do is spread a thin layer of your favorite orange jam over the base of each tart. Cover with a deliciously smooth layer of simple chocolate ganache. 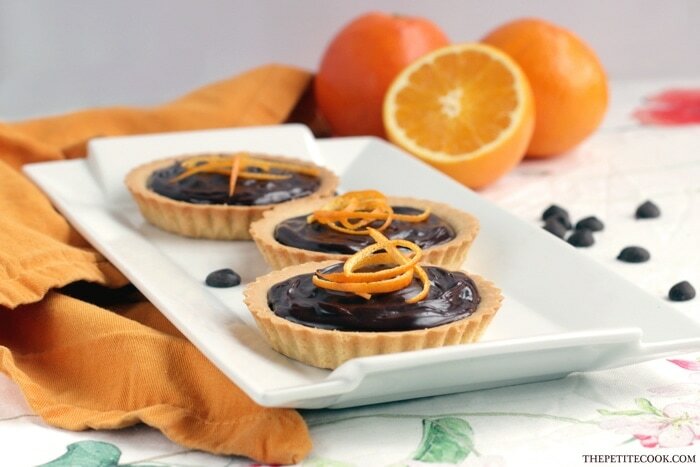 Sprinkle with orange zest for a refreshing aromatic after taste and your mini jaffa tarts are ready to go. 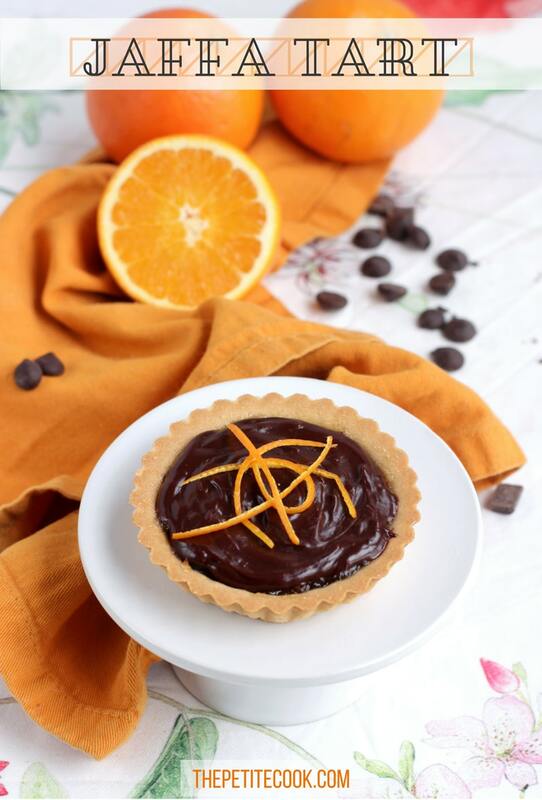 I’m sure you’ll fall in love with this jaffa tart once you taste it: perfect sweet and tangy mix, packed with fragrant and aromatic flavors, all delivered in a tiny shell for almost guilt-free pleasure. 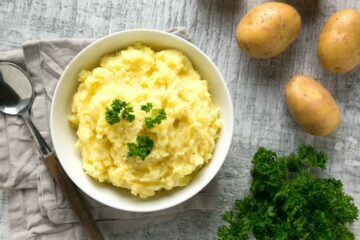 It’s a very easy recipe so you have no excuses! Do you have a favorite tart filling? Let me know about it in the comments, I’d love to hear your favorite combos :). Or even better, snap a picture and tag #thepetitecook on Instagram! 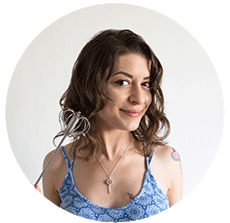 I can’t wait to see your yummy creations! Delicious jaffa tart brings a new twist to a classic British treat. 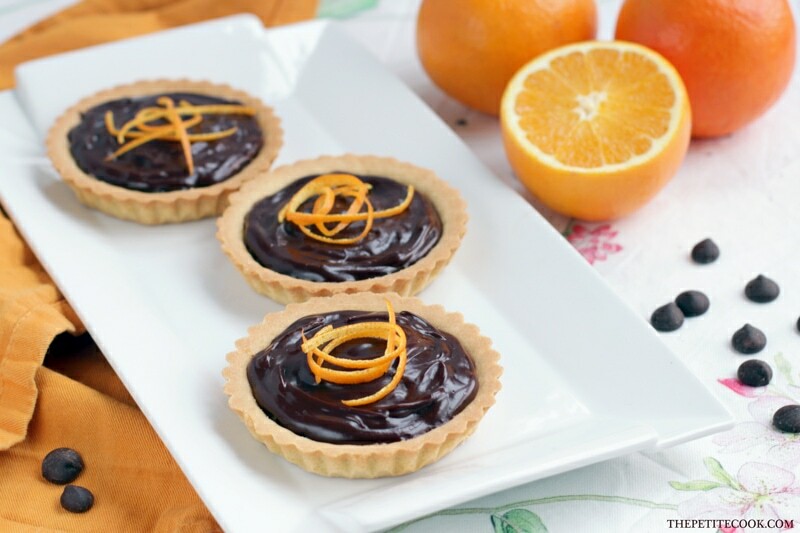 The indulgent chocolate and orange combo makes a great dinner party dessert. Roll pastry, between two sheets of baking paper, until large enough to line 4 5inch tart tins. Fold the pastry into the tins and trim the edges. Cover, refrigerate 30 minutes. Place tin on oven tray, line pastry with baking paper, fill with dried beansBake 10 minutes, remove paper and beans. Bake further 10 minutes or until pastry is browned lightly,then remove from the oven and allow to cool. In the meantime prepare the chocolate ganache. Put the chocolate chips in a heatproof bowl. Heat the double cream until hot but not foamy. Gently pour the cream over the chocolate and mix until creamy and dense. Set aside to cool a little. Spread a layer of orange marmalade over the base of each tart. Pour over a spoon or two of chocolate ganache. 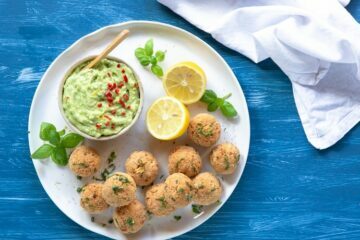 Allow to set in the fridge for 10 mins then sprinkle with orange zest and serve. You can also use pre-baked tart shells, just bake them in advance and store in the freezer to have them always at hand.